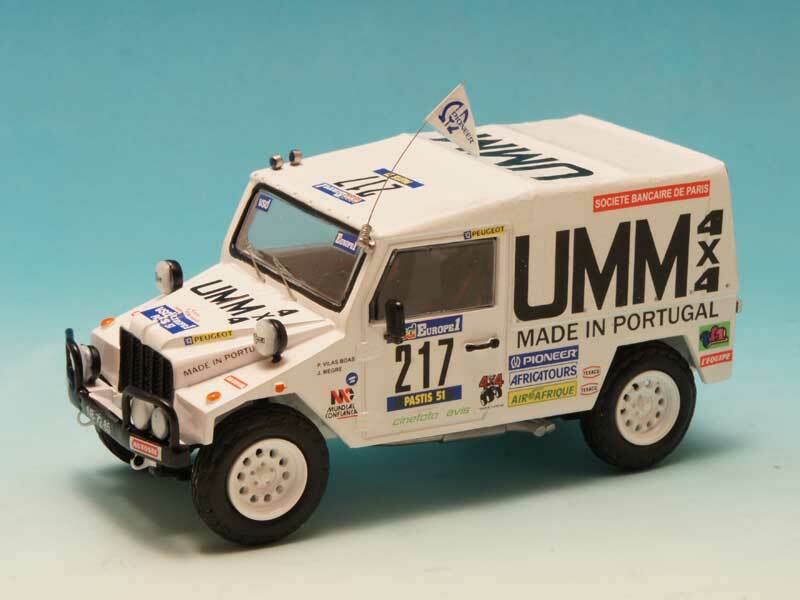 are now printed, the instructions made and the kits ready, together with the support Range Rover for the 1989 rally. 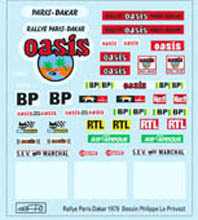 You can now find us at: www.gaffe.eu . 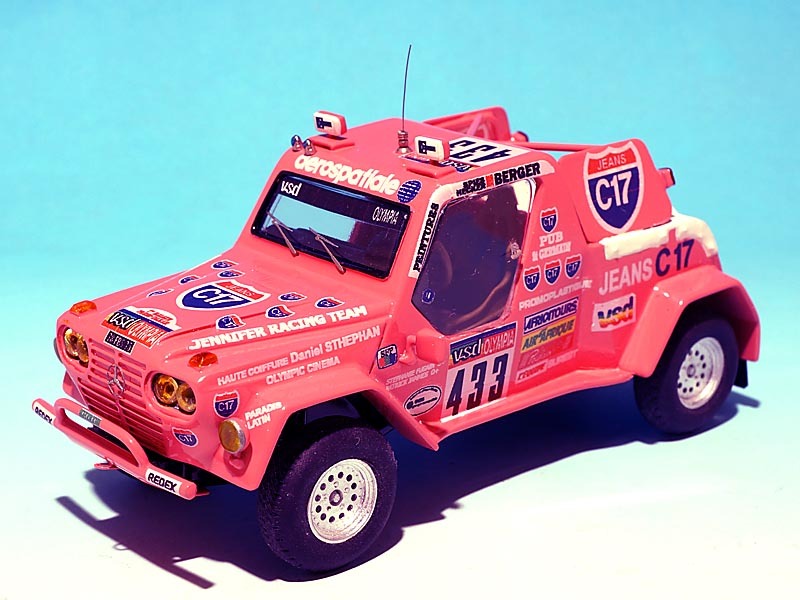 Fugain and Patrick James in 1985, sponsored by C17 Jeans. 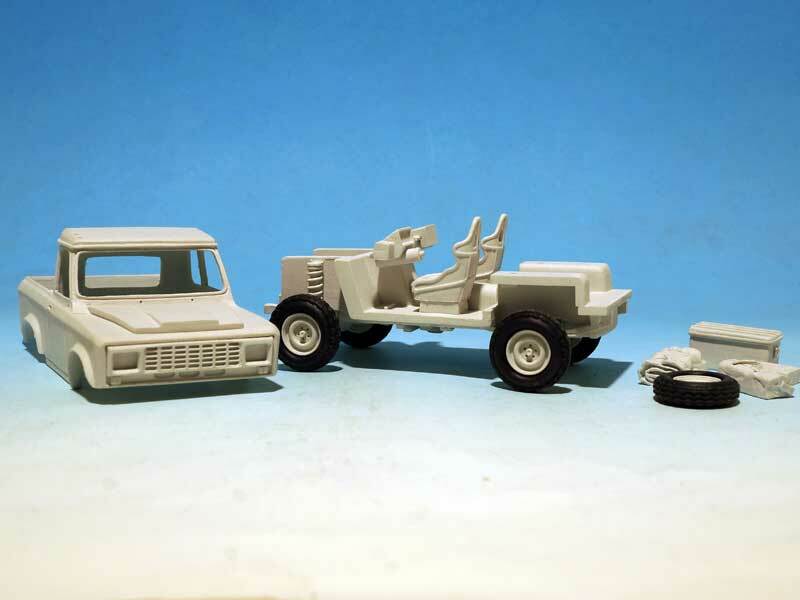 The moulds are now OK, the casting begins, the decals sheet is drawn, and printed, and it is now available. 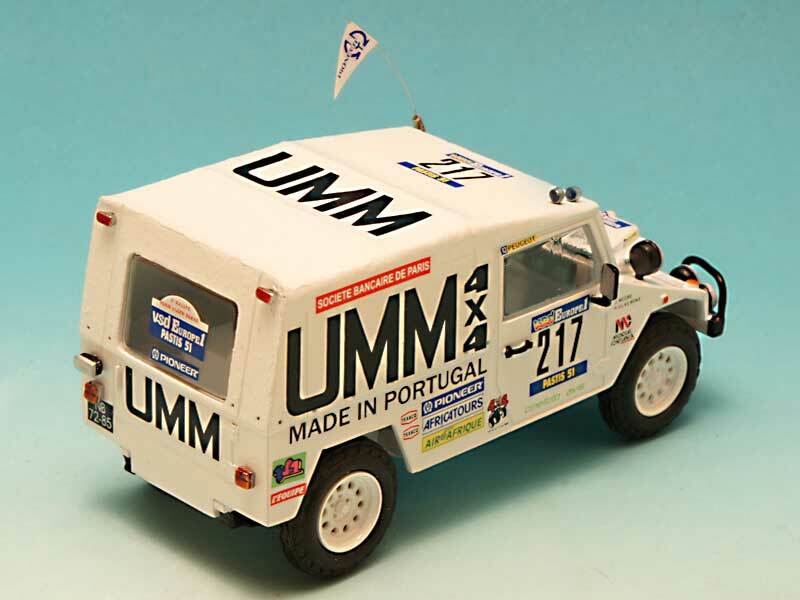 Something that had started well,ordered by M43 Modelismo in Portugal. 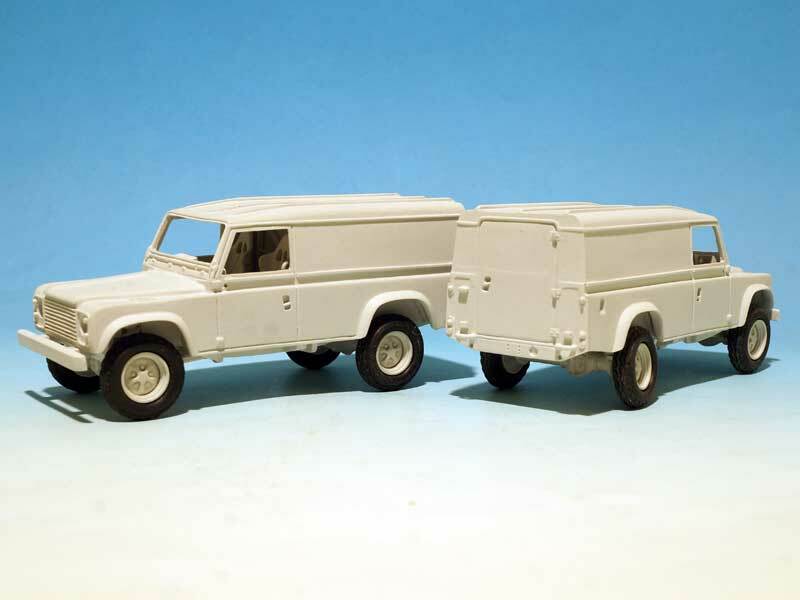 The master model was OK, but the mould was not! 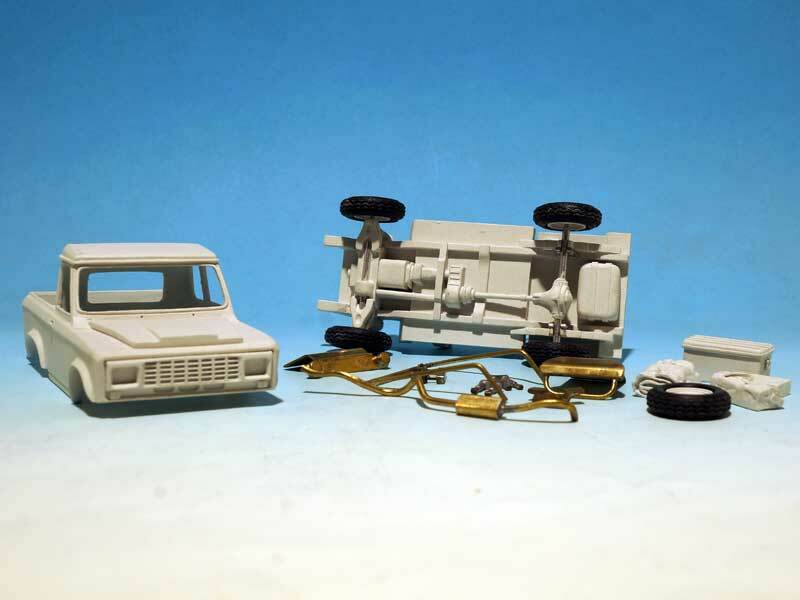 I had to choose, destroy both the mould and the master, or try to have a mould where I could get something, knowing that in anyway the master would suffer a lot, and that is what happened! 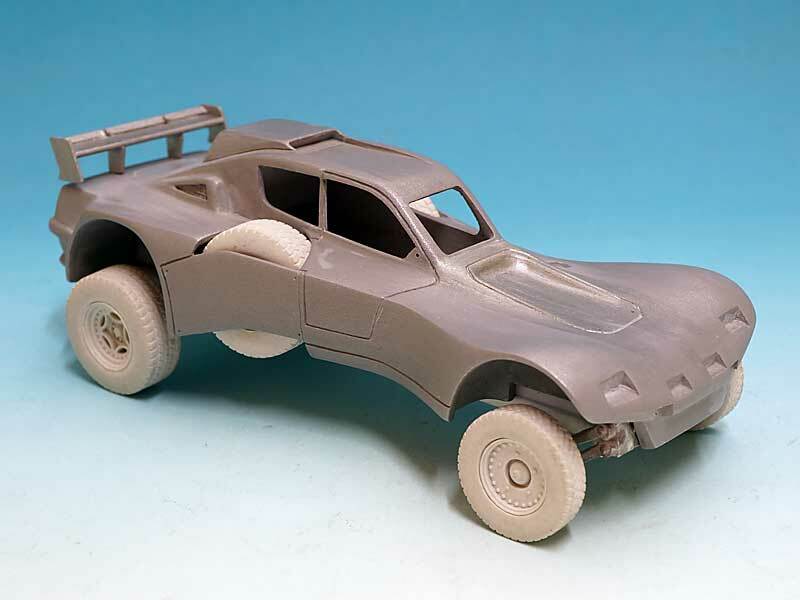 Fortunately, I succeeded in getting a not so bad casting from a worn mould, and after some work and a completely new moulding agent for the rubber mould, I finaly have a correct casting for all the resin parts. 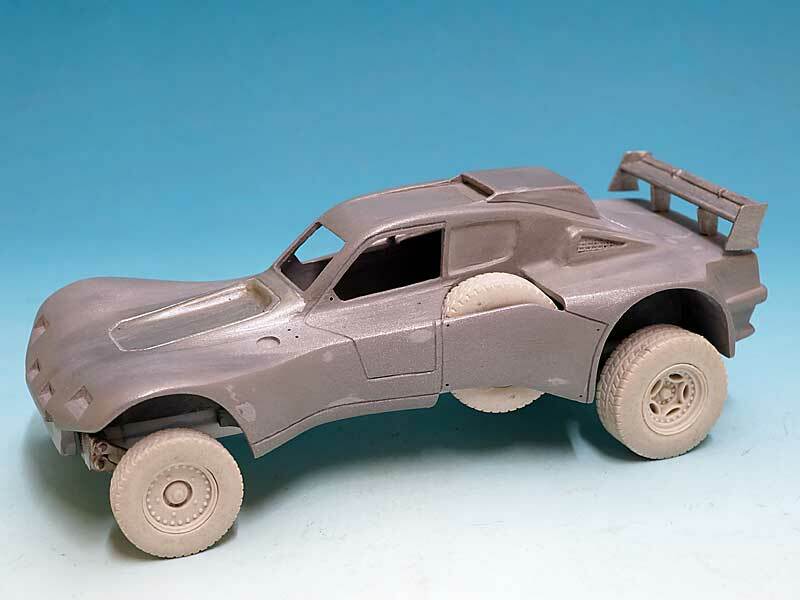 The decals are now printed and the metal parts are on the way! 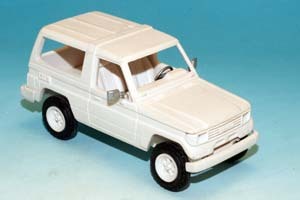 The model is made as an exclusivity for M43 Modelismo and is now available! 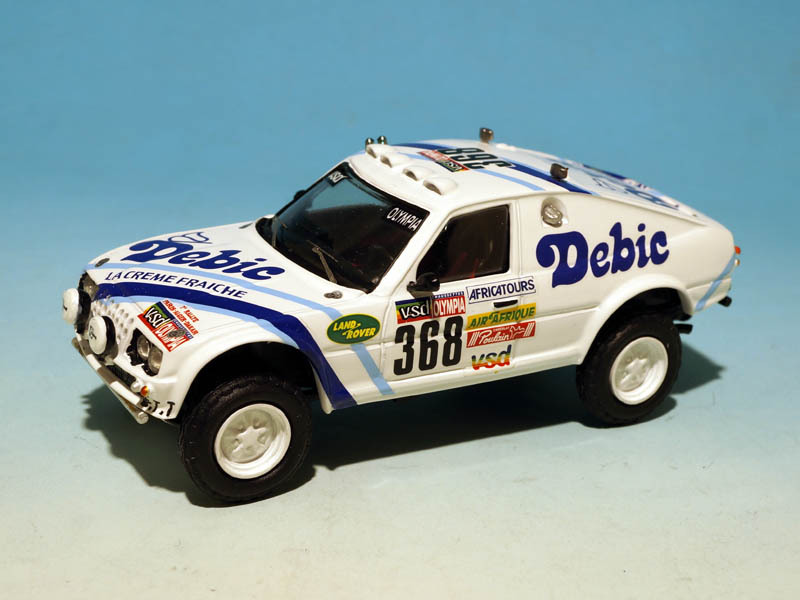 After the Portaro kit, we will have the Rover Proto Debic of the Belgian driver Guy Deladrière, who ran this car in the 1985 Dakar race. 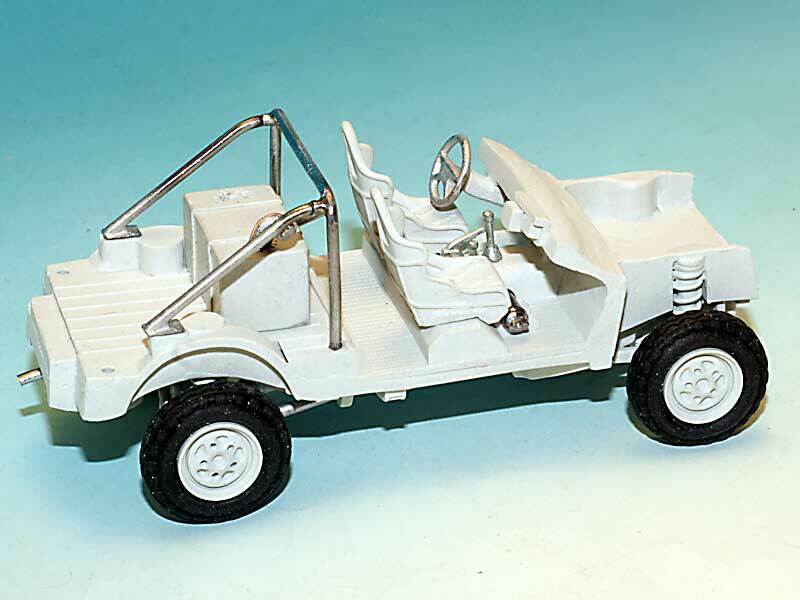 Made upon a 110 Land Rover chassis and a (very) modified 3500 Rover body, ETT in France had a very similar project with Plein Pot and Raoul Raymondis, but Rover whose 3500 model was at the end of his life prefered to race Range Rovers replicas, and that is why we could see the Halt'Up modified Range Rover, with Pastis 51 in 1986 and then Plein Pot and Tambay for the 1987 edition. 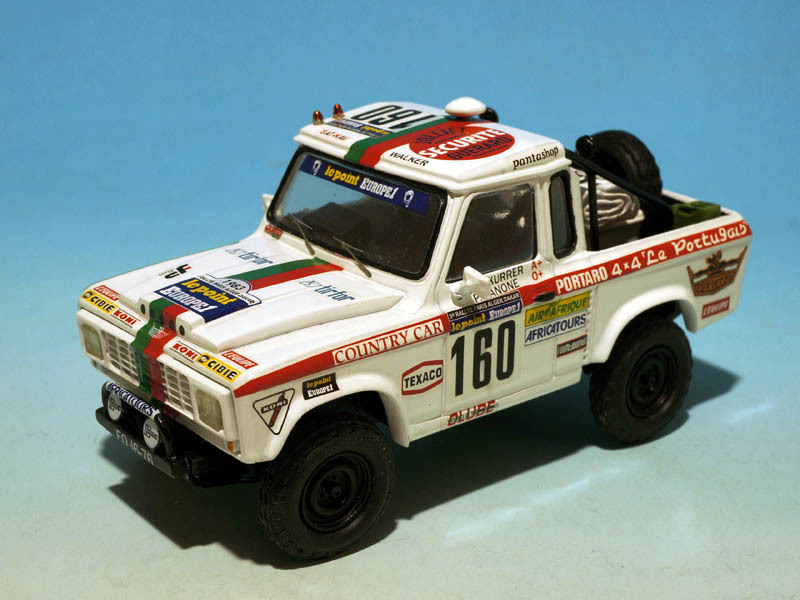 I find the 3500 based proto quite amazing, and well in the spirit of these first years of the Dakar race! 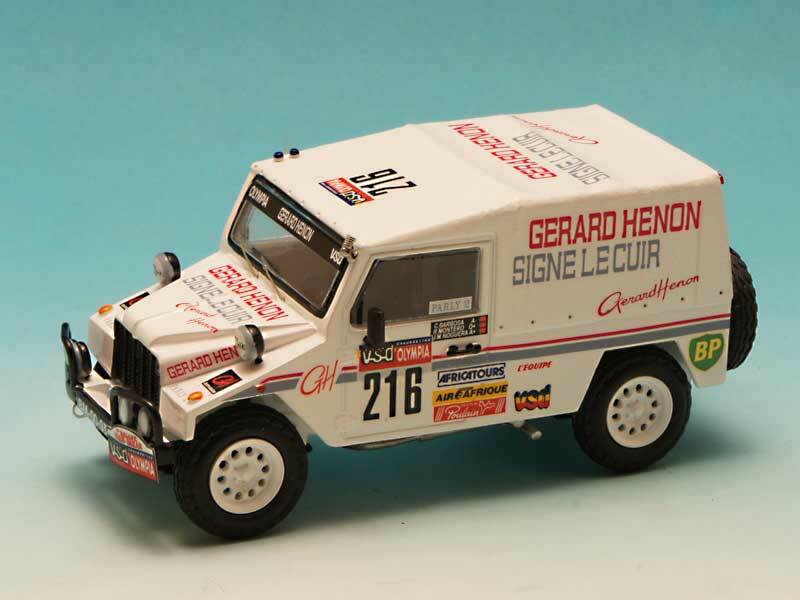 Together with the Debic Rover Proto, two long awaited reeditions: the Land 110 and Range Rover Halt'Up sponsored by Pastis 51 for the 1986 Dakar race, with famous drivers, like Henri Pescarolo, Jean Pierre Gabreau or Jean Ragnotti, and the Ricard Boss, Daniel Hemard, Mano Dayak drove the 110 Land Rover giving them a rapid support in case of problems. 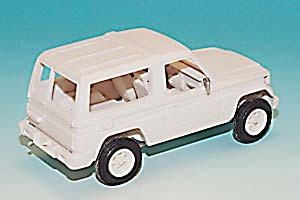 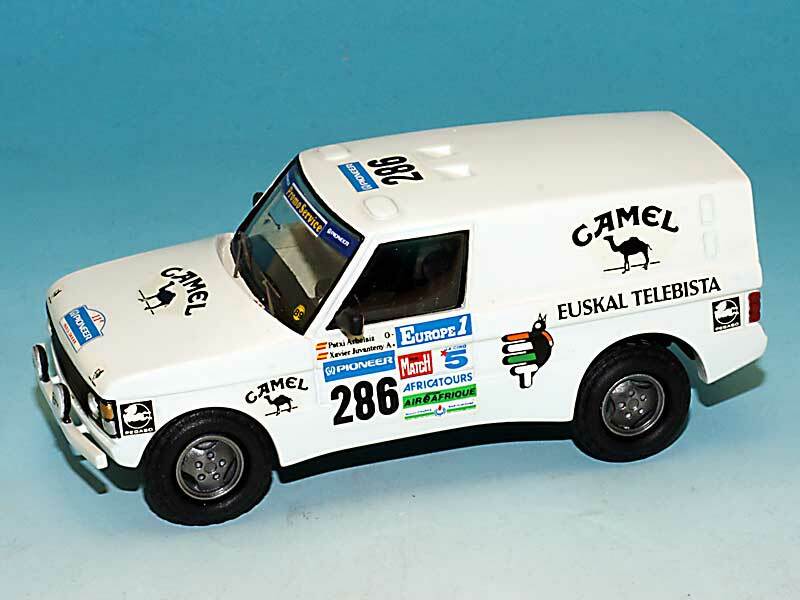 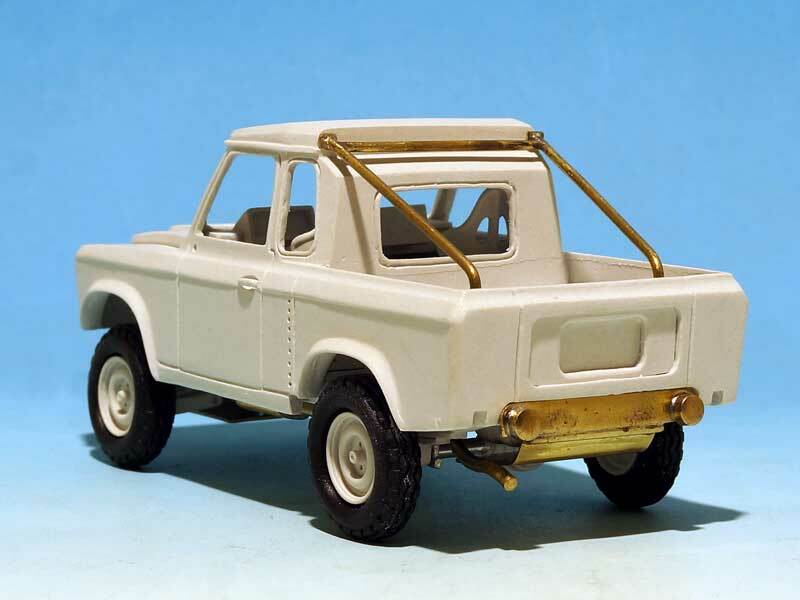 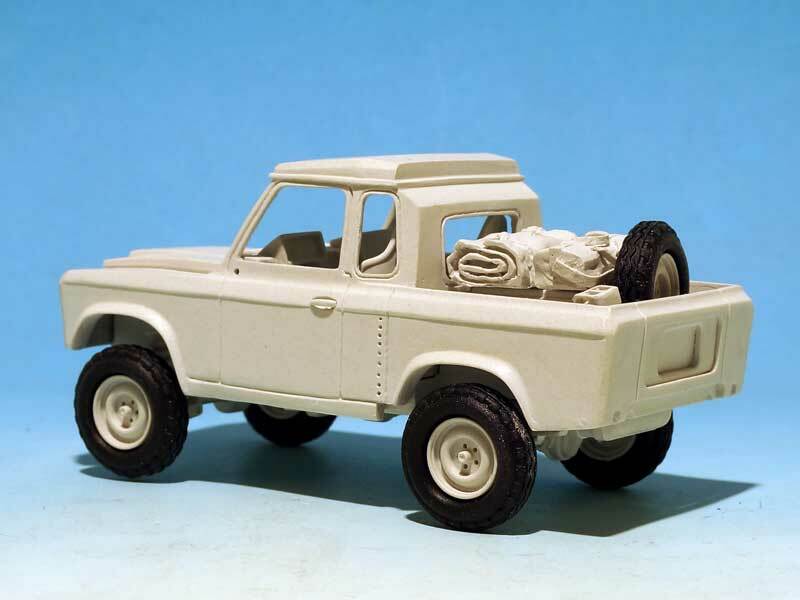 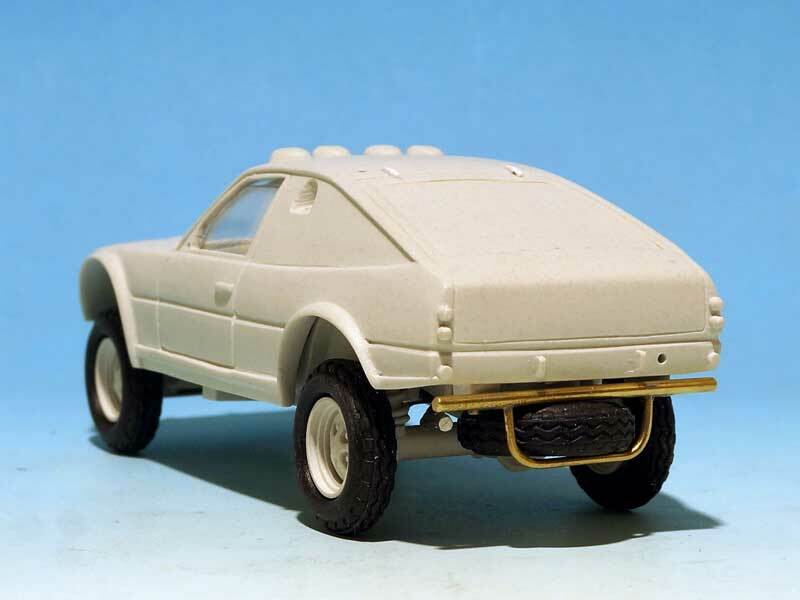 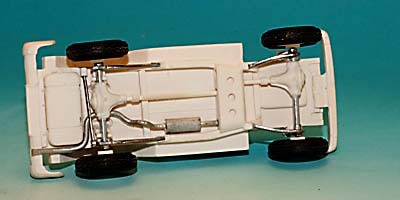 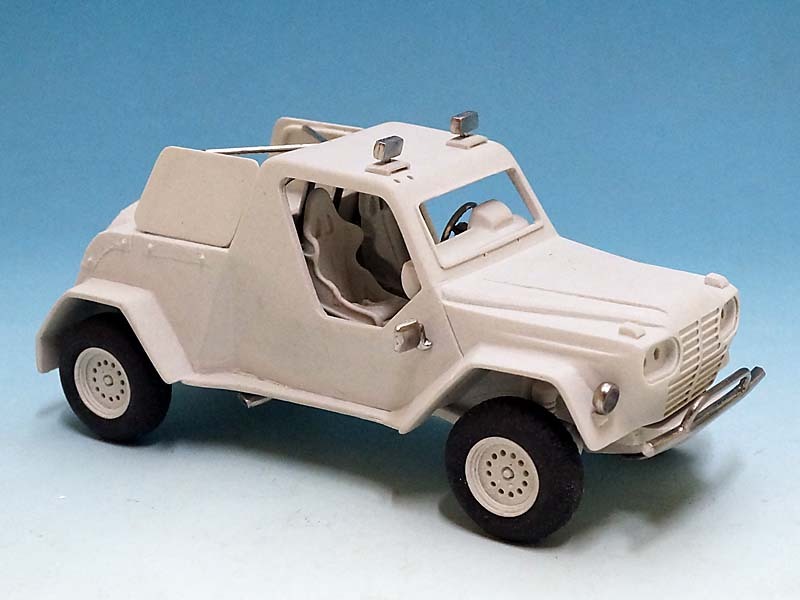 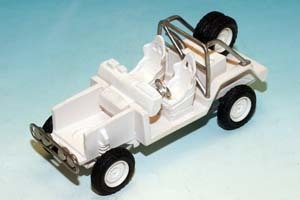 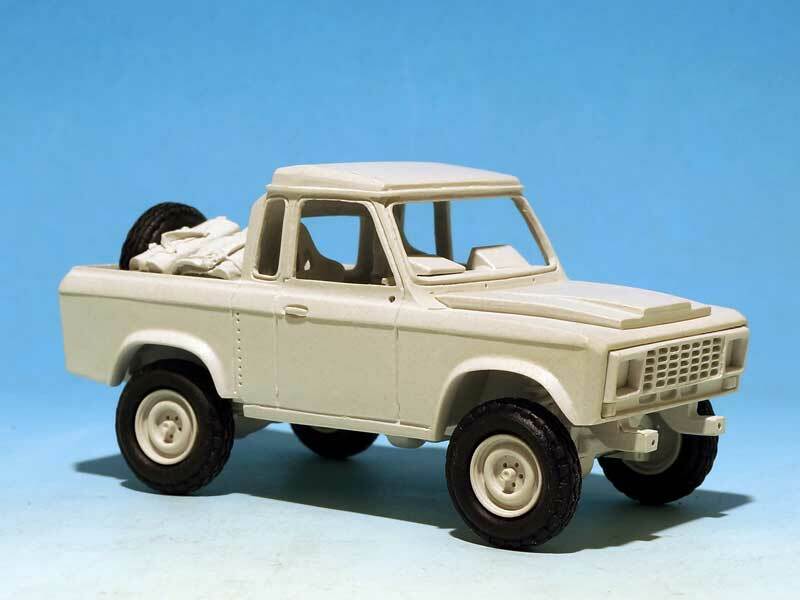 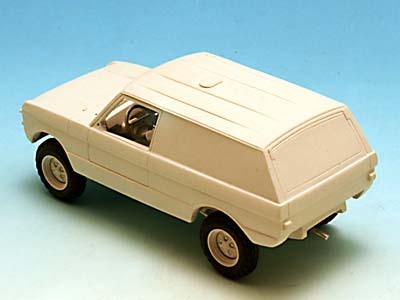 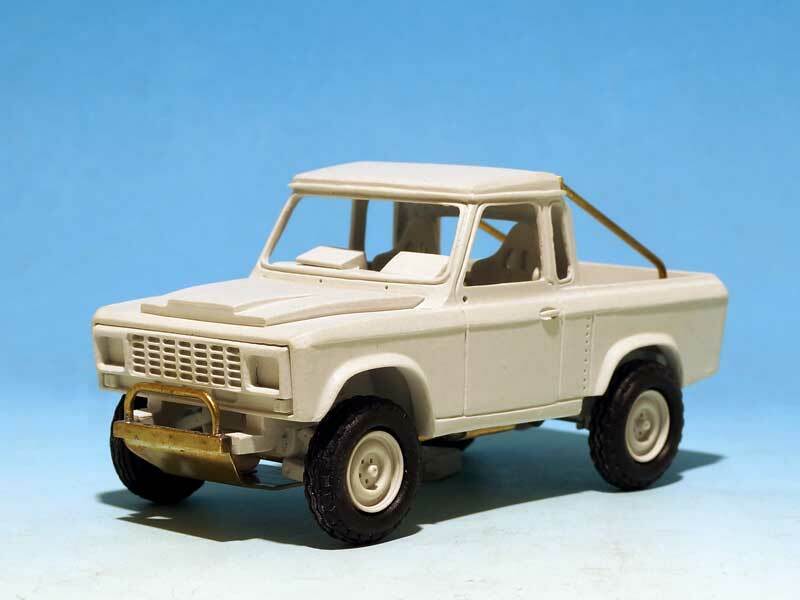 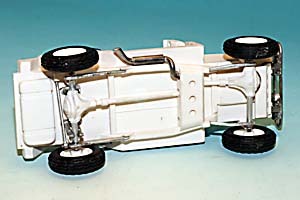 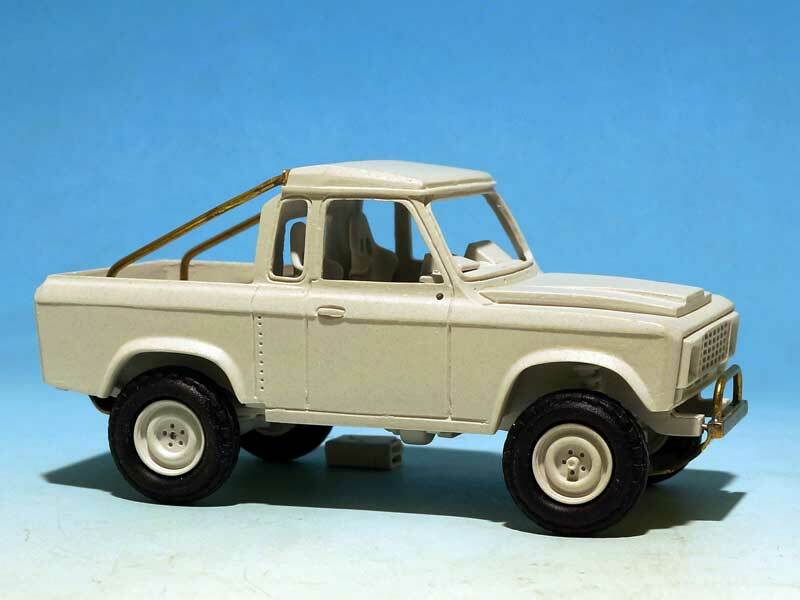 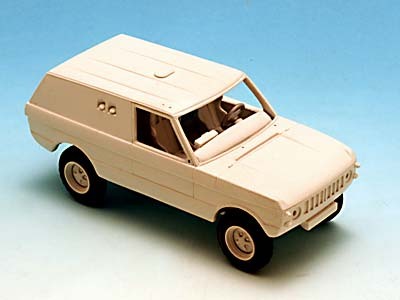 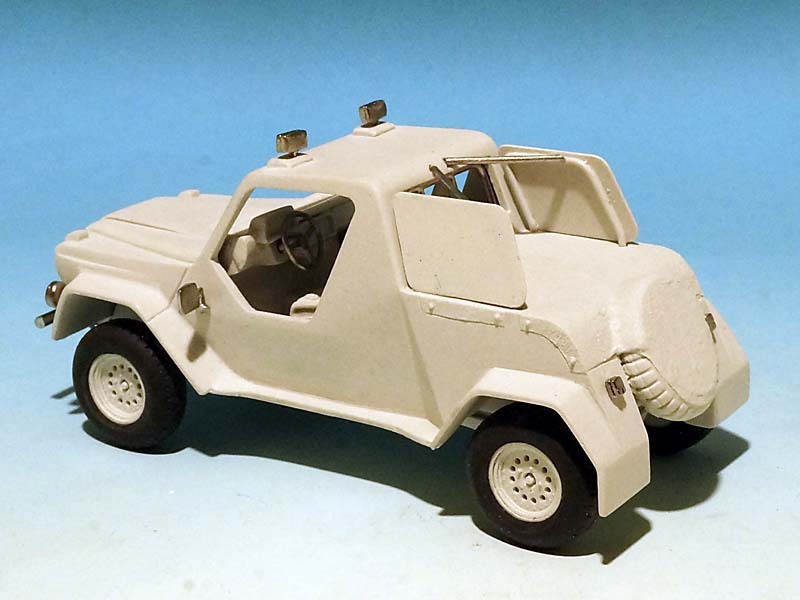 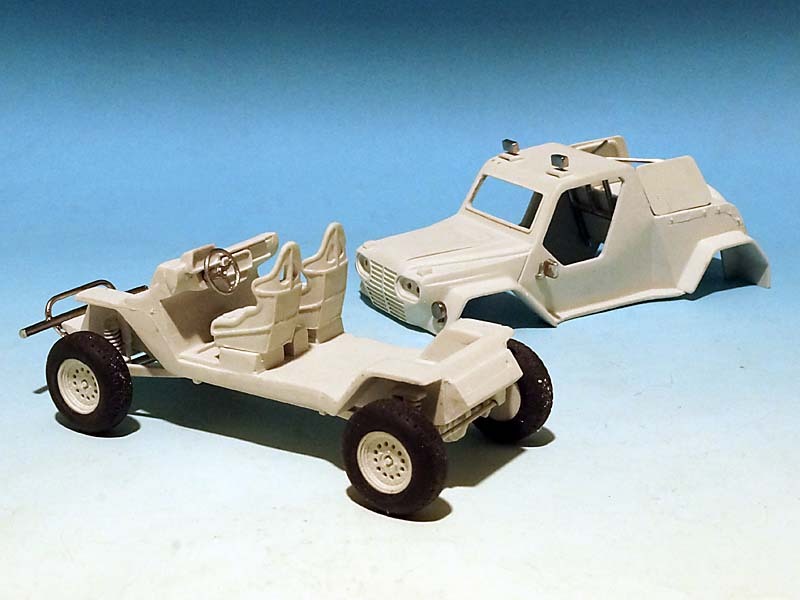 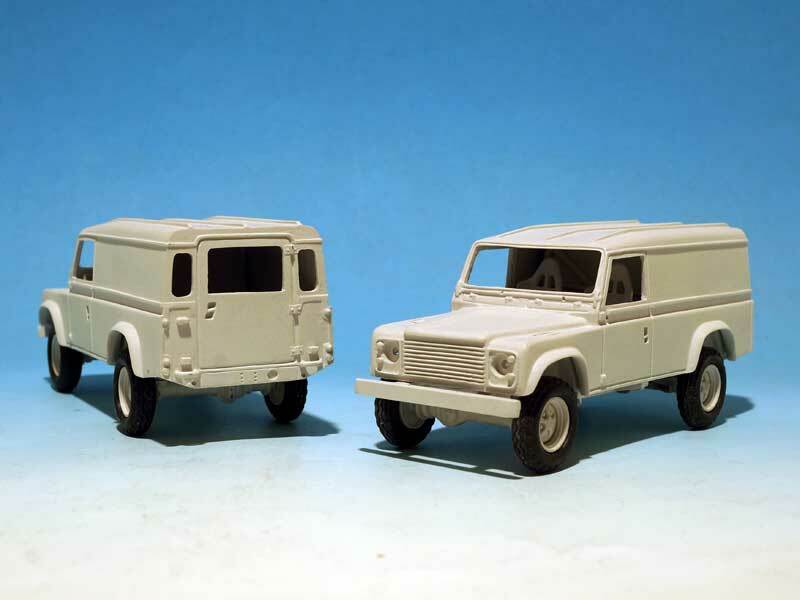 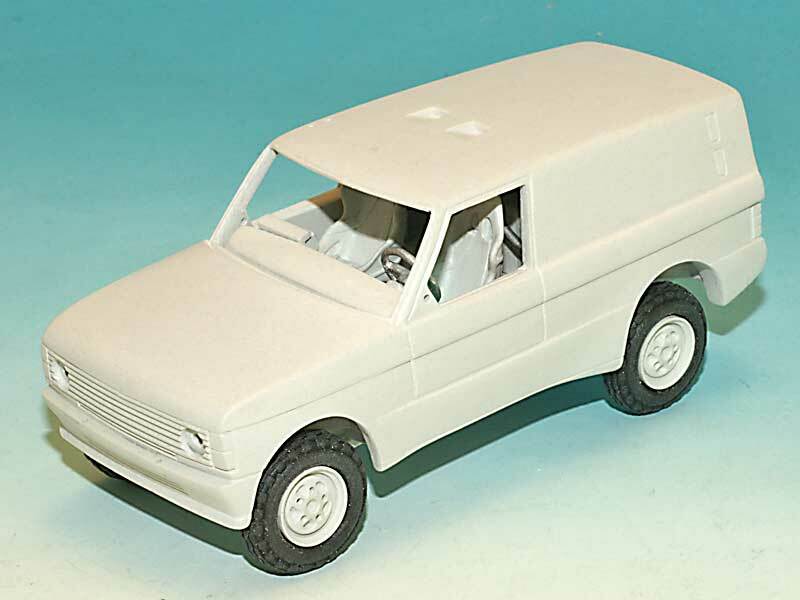 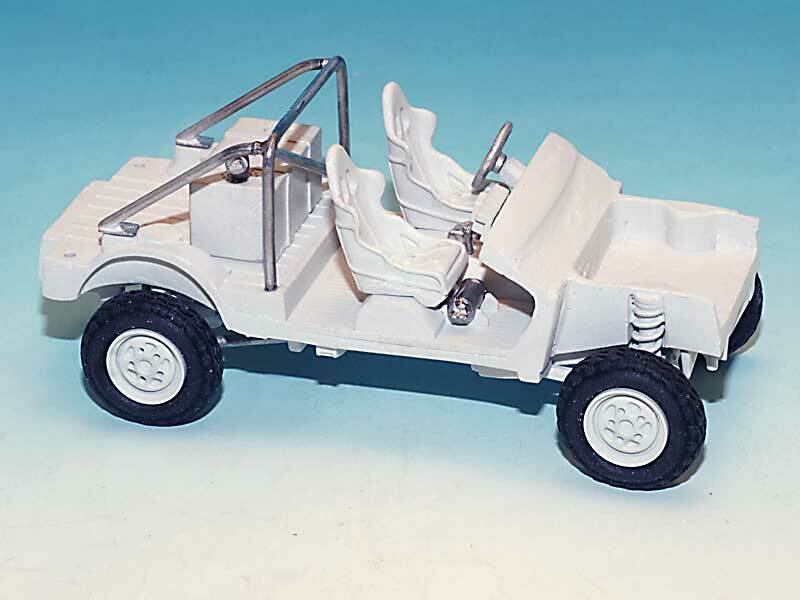 These models will also be available as kits without decals so, enthousiasts will be able to realise models with decals made by other manufacturers (see the adress of the Rallye Raid 43 Club for some informations), the Land Rover can be obtained with a completely closed rear panel or opened one, and a choice of wheels! 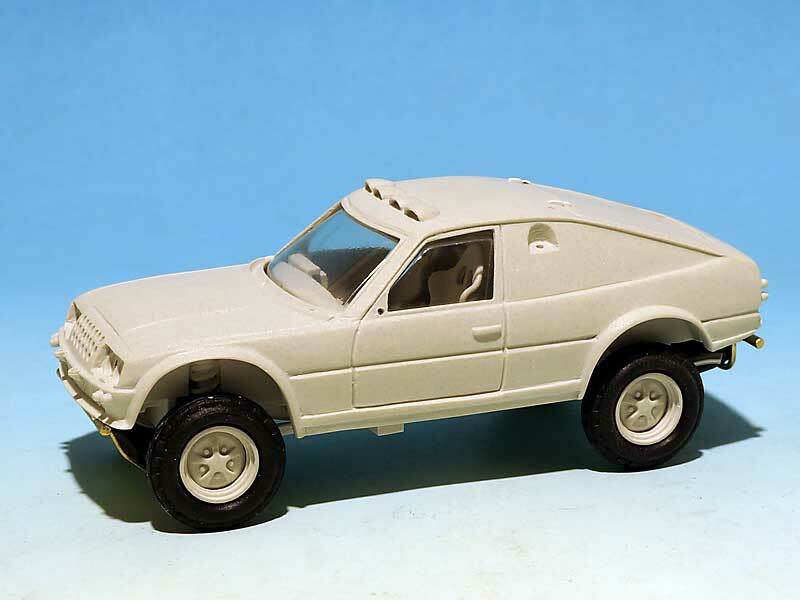 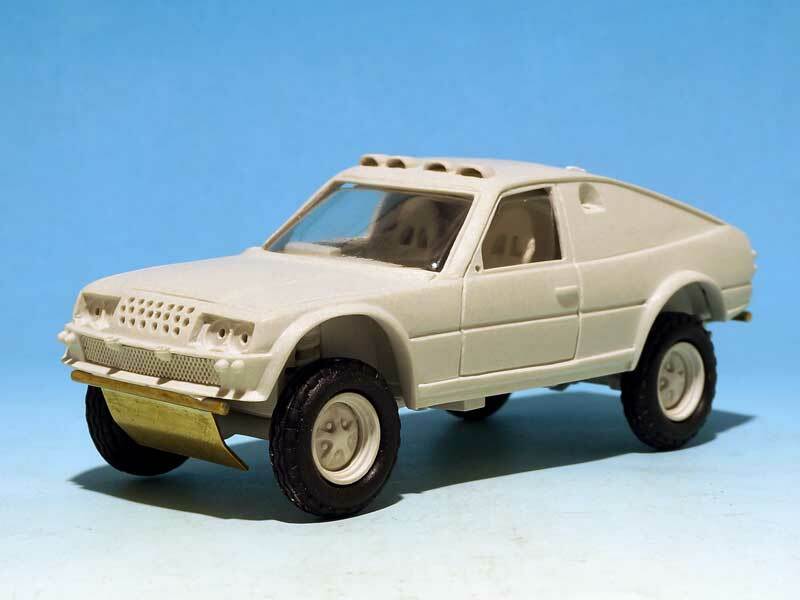 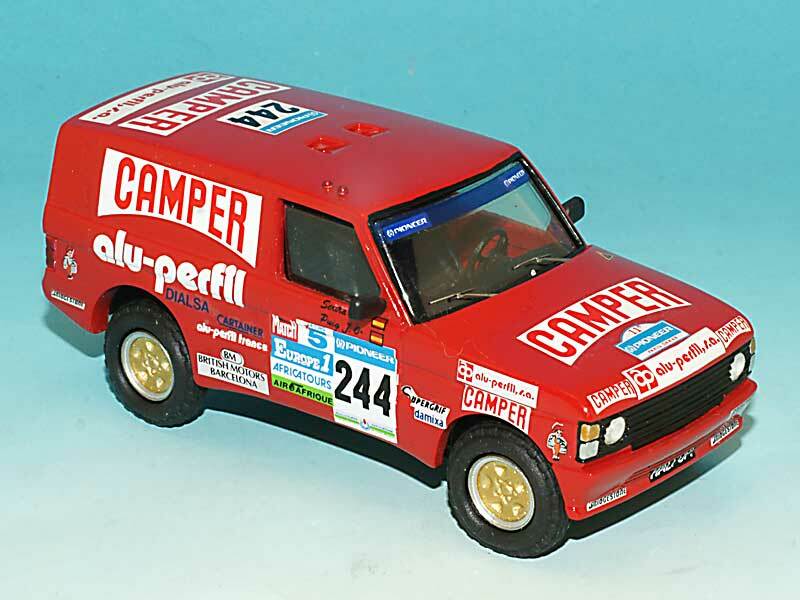 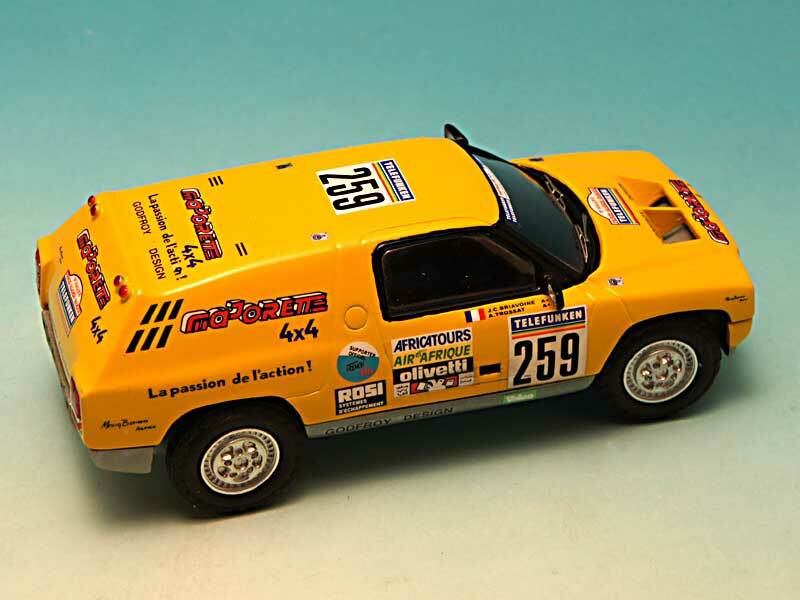 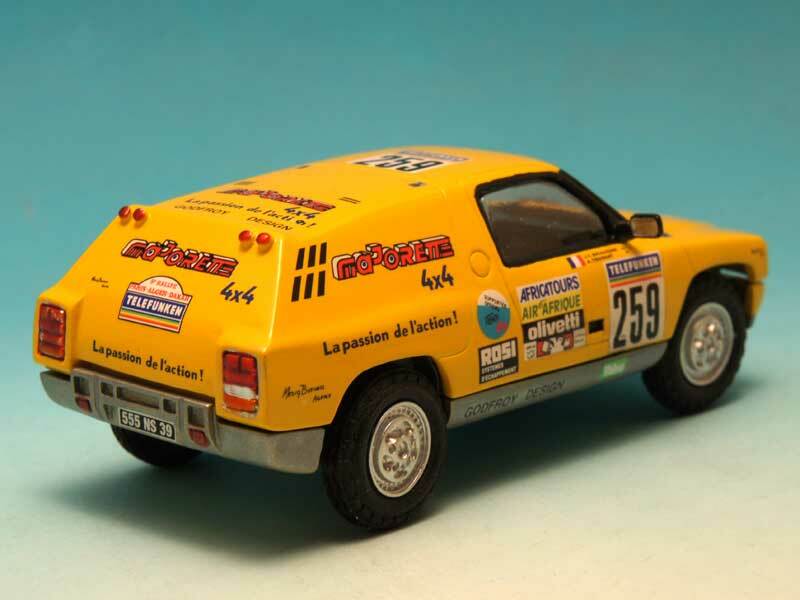 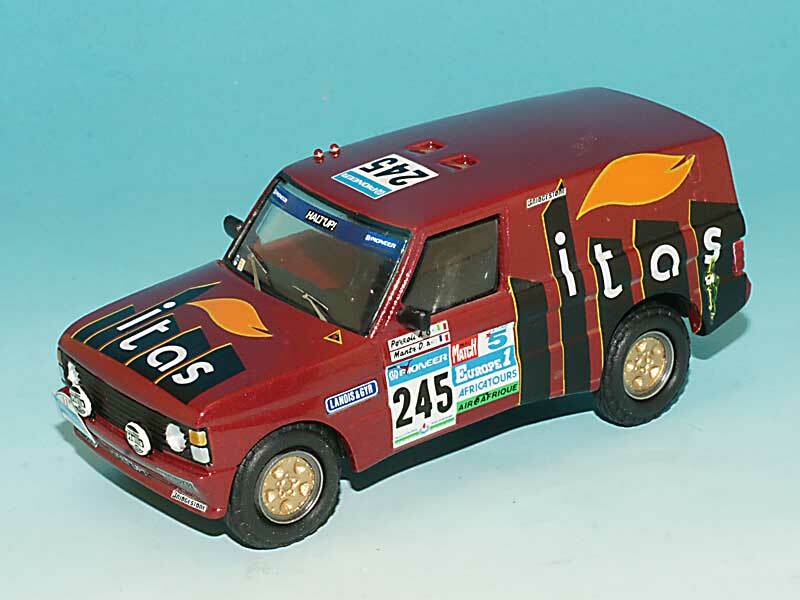 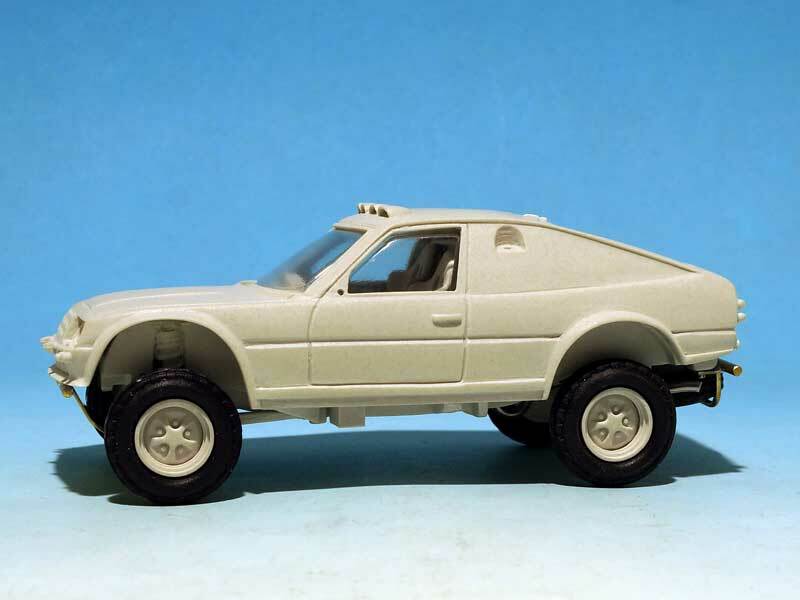 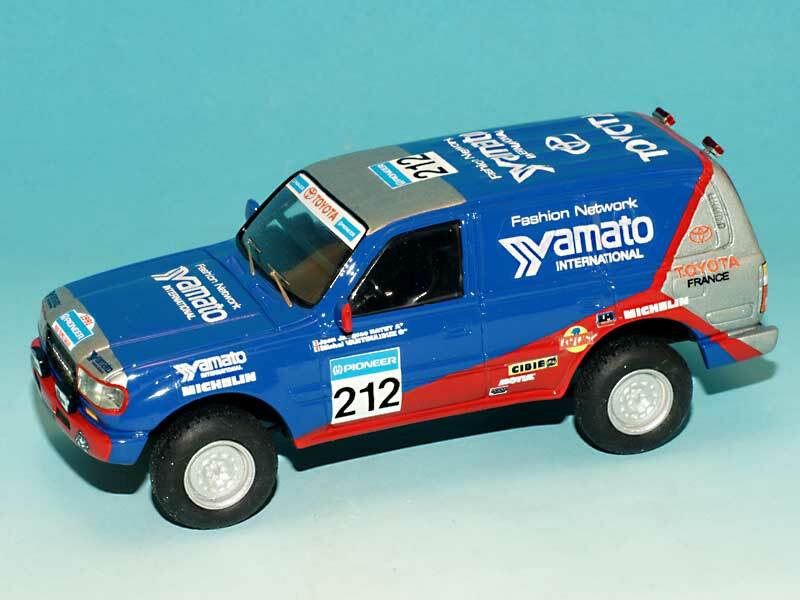 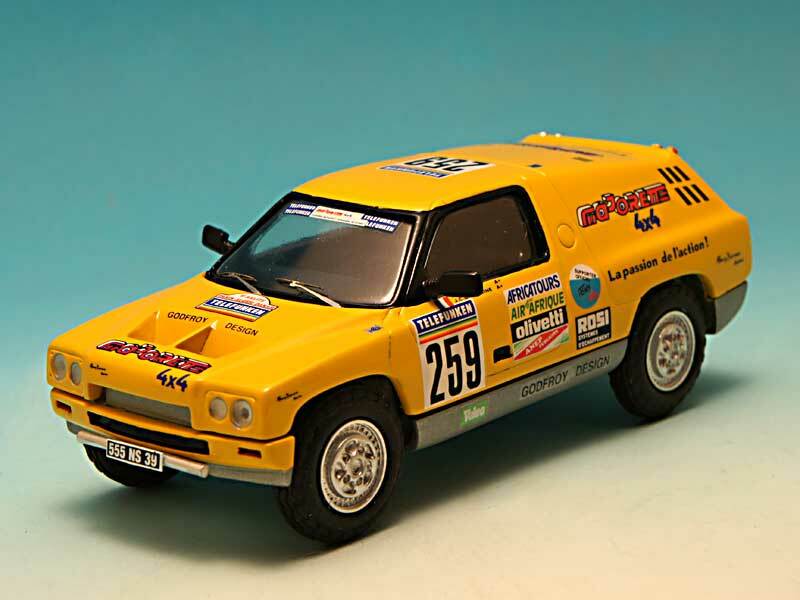 This is the 1987 model of the BCBG entry, this model has been made as an exclusivity for the Rallye Raid 43 Club and can be obtained by them, be careful, it is a very limited edition, and only some models are still available. 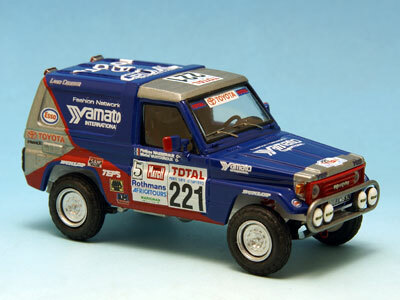 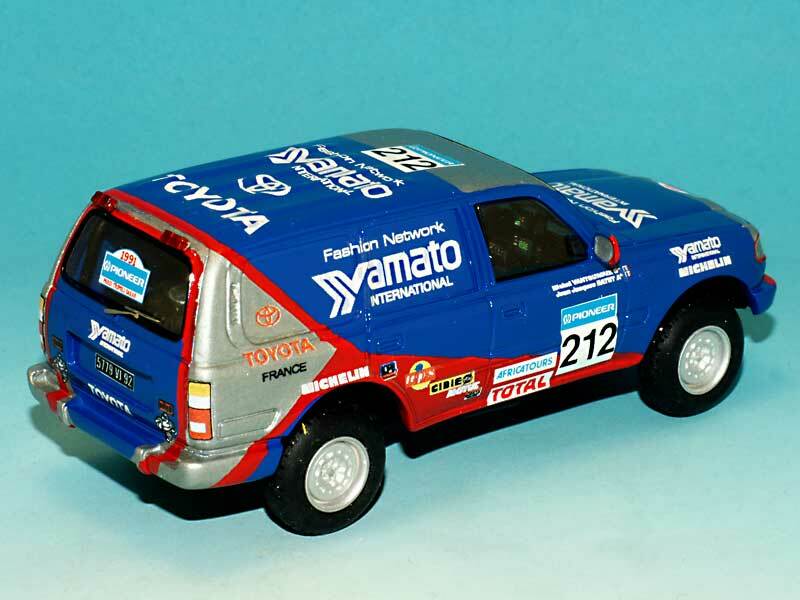 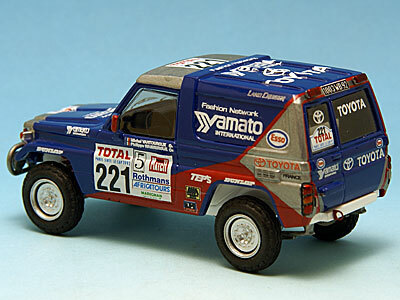 The KZJ Toyota, Yamato sponsored of Philippe Wambergue and Michel Vantouroux, for the Paris Capetown 1992 race, as well as the HDJ 80 Toyota, of Jean Jacques Ratet and Michel Vantouroux, also sponsored by Yamato in the Dakar 1991 race are available. 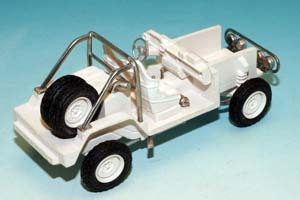 The KZJ 73 in a civilian trim. 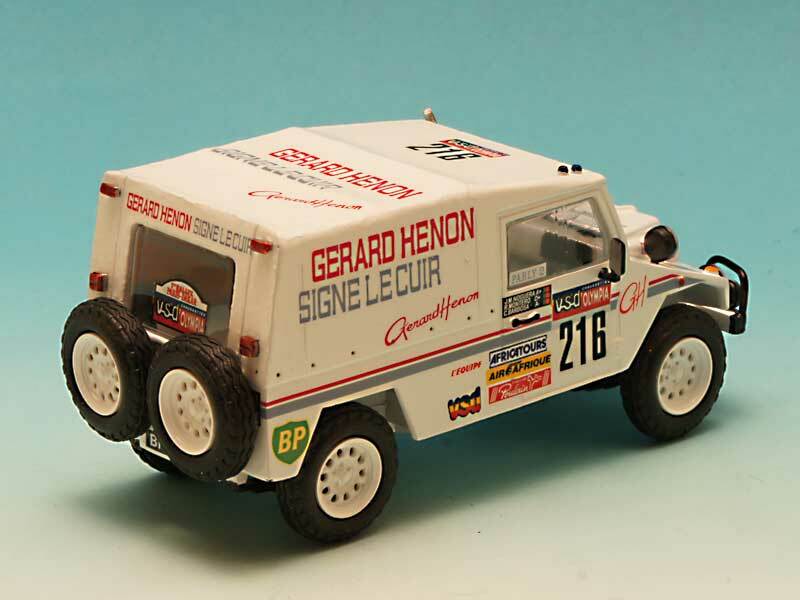 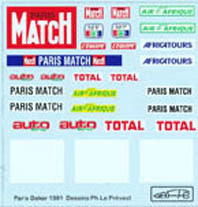 The UMM, 1984 and Gérard Hénon 1985 are also available. 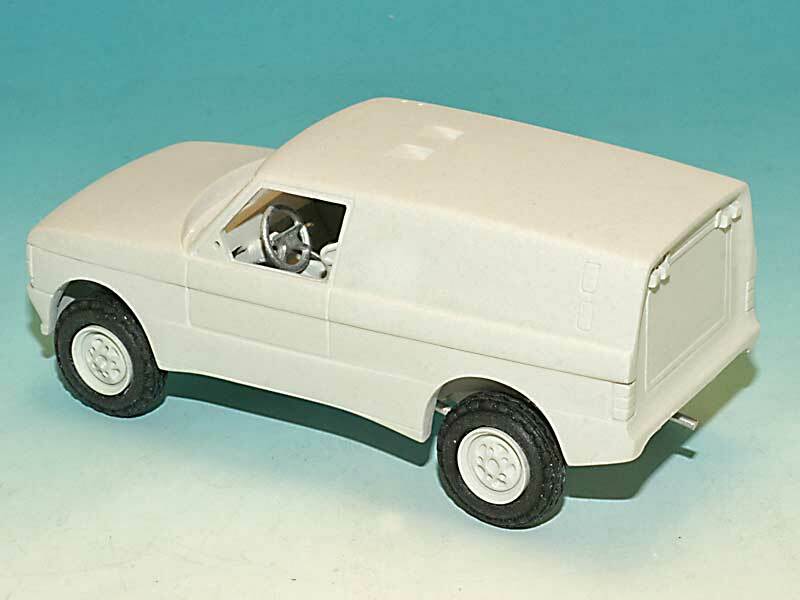 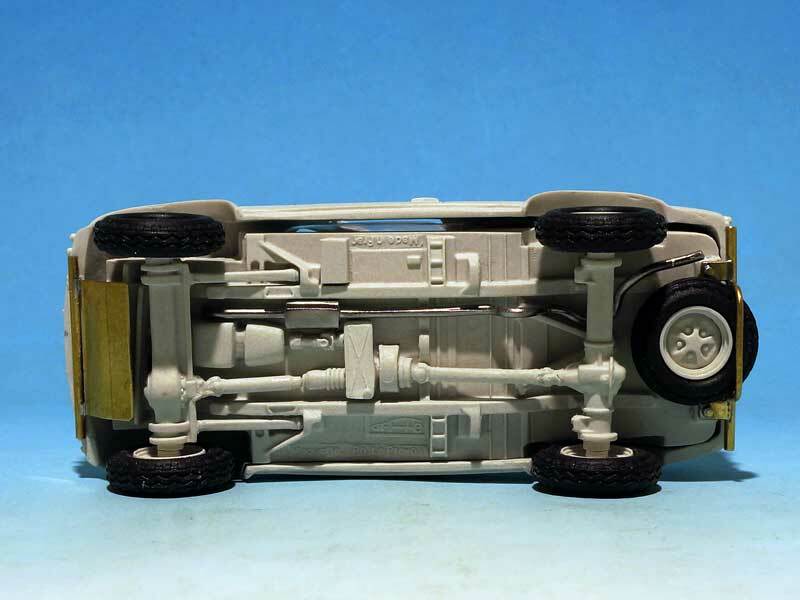 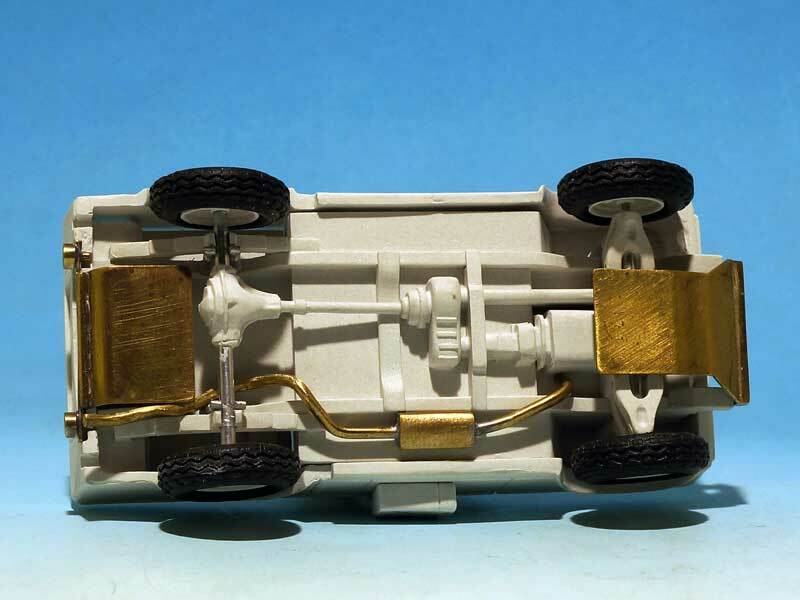 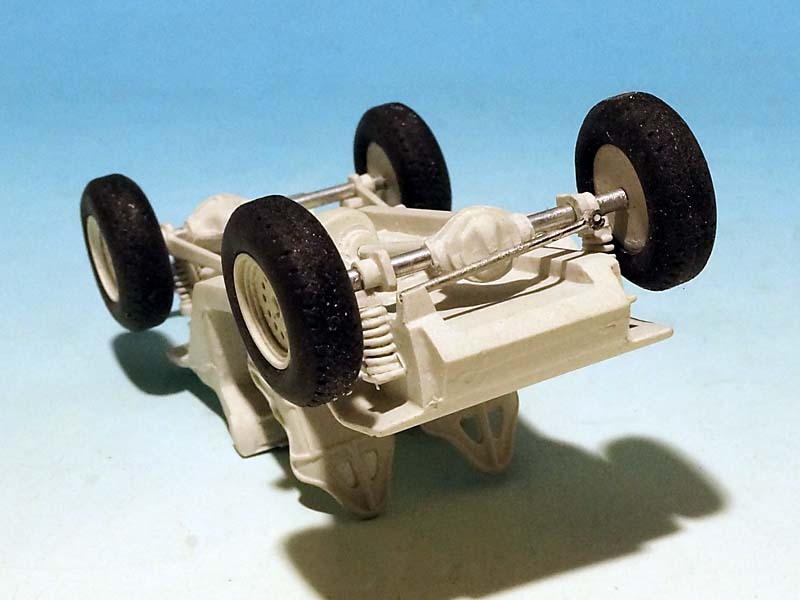 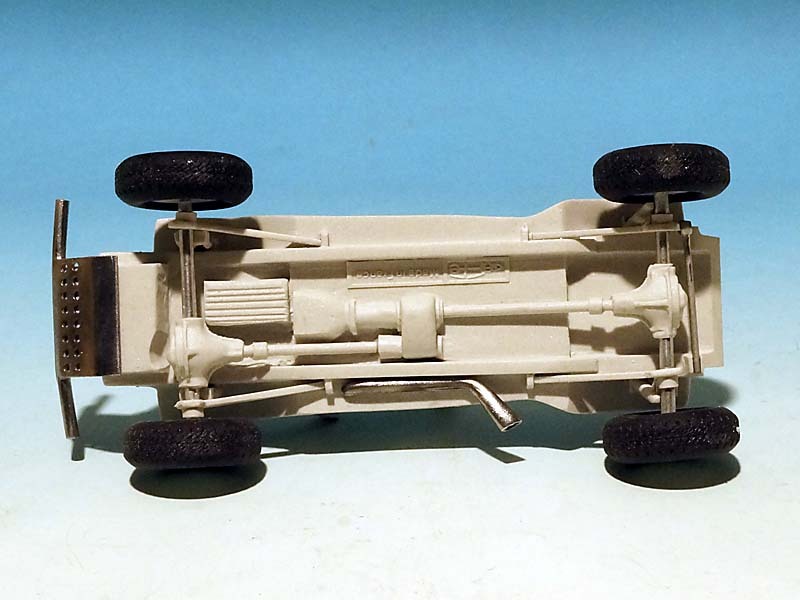 to allow the enthousiasts to realise their own models with decals coming from other manufacturers, of their own drawings, you may also obtain all these kits without decals and with a choice of wheels in the accessory range, see the accessory page for this. 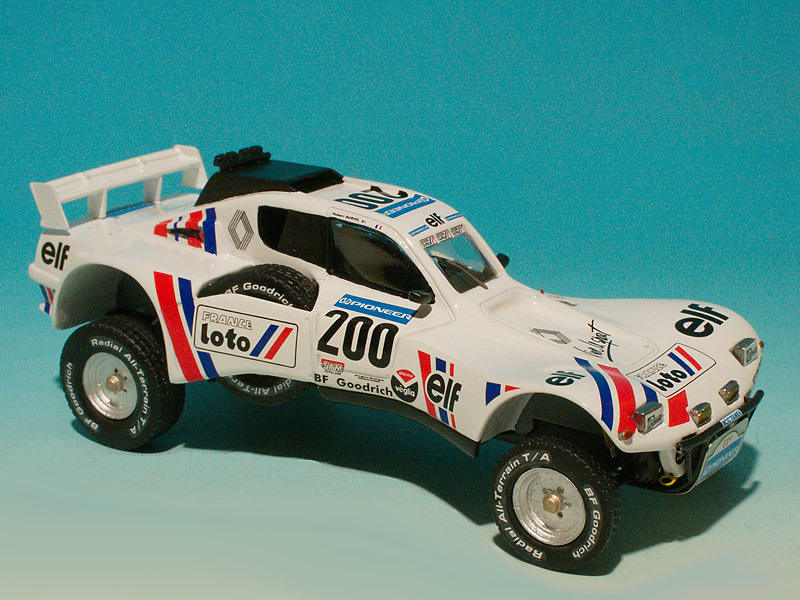 And on the same chassis, I made a new edition of the ref 8404, new moulds and you can obtain it as 8404, kit without decals or 8502, with the Malardeau sponsor decals.